The psychological pressure brought to bear on victims of forced marriage is the focus of a new Home Office campaign that aims to highlight the mental aspect of what remains a hidden crime. 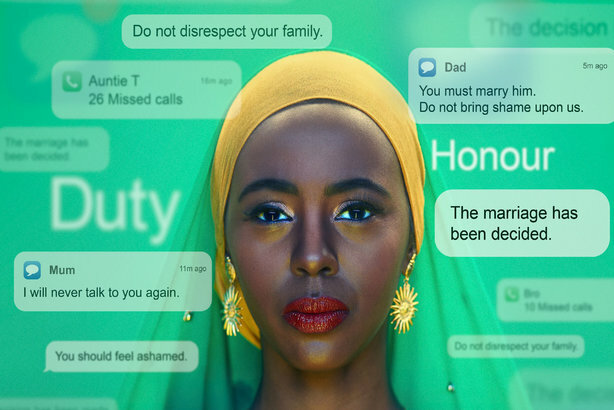 The Right to Choose campaign, with creative by agency FCB Inferno, is centred on a powerful 40-second film depicting three brides and a groom emanating sadness and dejection as a voiceover lists some of the arguments used to force people into marriage. Telling people they will bring shame on the family if they do not comply, that it is their duty and that they have no choice are among the examples featured in the film. Home Office: Forced Marriage from FCB Inferno on Vimeo. The decision to concentrate on the mental pressures involved in forced marriage was prompted by research that identified a lack of awareness about the non-physical coercion and a need to highlight the emotional pressure and psychological guilt used against victims. We’ve launched a campaign to tackle #ForcedMarriage. Watch this behind-the-scenes video to see how it came together. Find out more about the campaign: https://t.co/6rRR7ncfNb. And 15-second versions of the film, featuring each of the four individuals, have also been produced. The campaign is being promoted across the Home Office’s Twitter, Facebook and Instagram channels, as well as by other government departments and police forces. 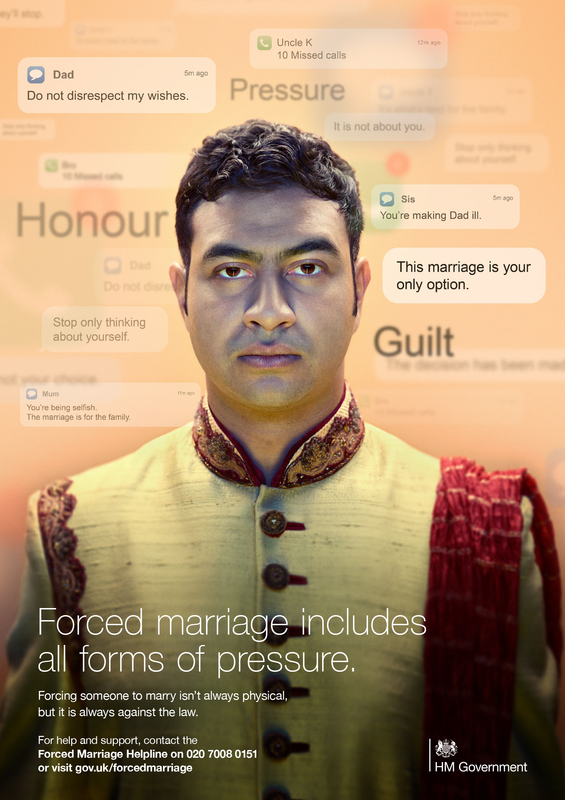 "We want to reduce the number of people forced into marriages against their will in the UK by challenging, empowering, and inspiring practising communities to change the way they perceive forced marriage and to take preventative action against this abhorrent practice," according to a Home Office campaign pack produced for partner organisations. And a web page developed for the new campaign states: "It can be hard to recognise when someone is being forced into marriage, especially when this involves psychological and emotional pressure, rather than physical abuse. "For example, some victims of forced marriage are pressured by being made to feel responsible for bringing shame to their family." The new campaign "will raise awareness around this despicable crime and help protect victims", according to Sajid Javid, the home secretary. He is optimistic that "having these videos and using them on all sorts of platforms including social media will really make a difference". And Andy Tighe, comms director at the Home Office, said: "This eye-catching campaign is designed to show victims, families and communities that there is advice and support for them, and demonstrate that the UK will not tolerate people being forced to marry against their will."